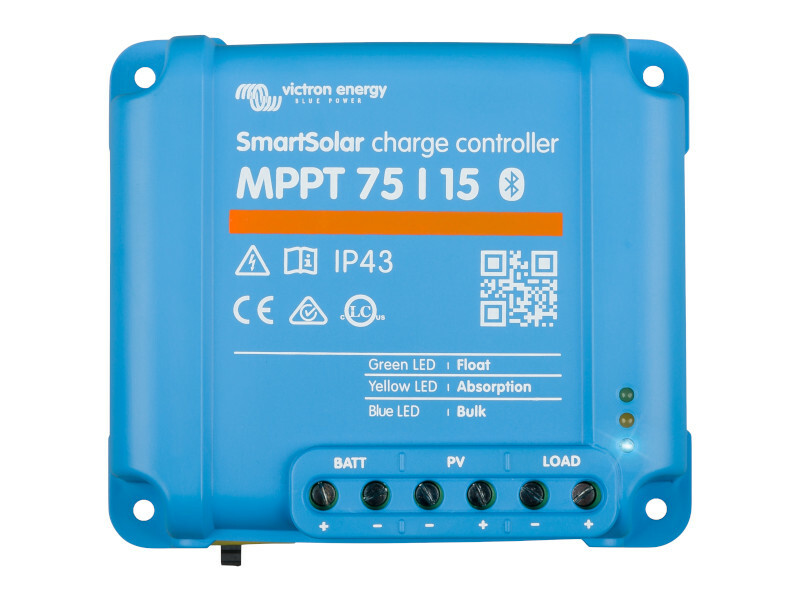 Victron's Smart Solar MPPT range of controllers help you maximise the amount of energy obtained from your solar panels. Under cloudy sky conditions when light intensity is continually changing, these ultra-fast controllers can improve energy harvest by up to 30% compared with controllers using older PWM technology, and by up to 10% compared with slower MPPT models. 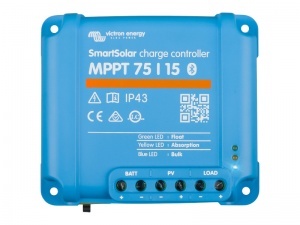 All of the Smart Solar models have Bluetooth communication built-in which allows you to interface with the controller via the VictronConnect app on your Apple/Android/Windows device. Through this app, you can configure an extensive range of functions on your controller and monitor its performance in real-time and via historical stats. The controllers also feature low voltage protection for your battery by disconnecting the load output when the battery reaches a pre-set voltage. 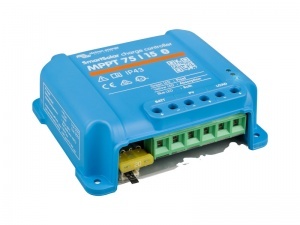 This will shut the power off to all circuits connected to the load output and prevents the battery being damaged by over-discharge.